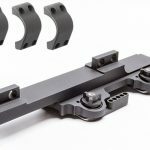 Swapping a scope between rifles can be a pain, which is the benefit of the LaRue Tactical Click Adjust Nut QD SPR Mount. The LaRue C.A.N. is basically a Combat Proven QD scope mount that needs no wrench to adjust the Picatinny rail lever. Users adjust it by clicking the proprietary thumb nuts, similar to scope turrets. All folks have to do is “count the clicks when switching optics between different uppers,” according to LaRue Tactical. This makes it easier to maintain proper torque on different rifles. This saves money for the company, as they don’t have to shipped a 3/8-inch wrench with the mount. Because of this, users save money as well. The LaRue Click Adjust Nut QD SPR mount comes in three scope sizes—1 inch, 30mm and 34mm. Additionally, the mount works with all three ring sizes. The LaRue C.A.N. 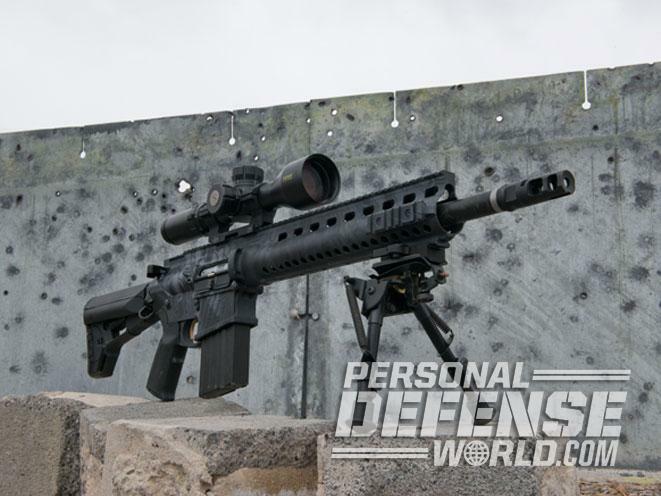 is optimal for shooters wanting to quickly swap scopes between railed rifles. However, the best part is that the C.A.N. maintains zero by simply remembering the number of clicks for various rifles. This keeps shooters from having to re-zero every time they swap the scope. For more information about the LaRue Tactical Click Adjust Nut QD SPR Mount, please visit larue.com. 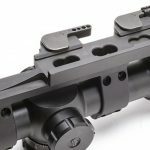 The post LaRue Tactical’s Click Adjust Nut Allows for Tool-Less Scope Adjustment appeared first on Personal Defense World.